Good morning Friends! It has been a busy week at my house; roller coaster is a better word. I’ve been busy with new releases and sharing my discoveries with the Minc Machine but in the background my family is in need of some good news. On a personal note, my little brother is in the ICU fighting for his life. Every day there is no bad news, is very good news and he’s been hanging on since Saturday. If you could spare a prayer for Ben, he’s been through so much this year. I’m okay, but it takes a lot of focus to be deliberate and steady and am thankful that the pressure to be productive has kept me distracted from the hard things. It’s at times like these that we reflect back to our younger times – and our younger selves. So yes, lots of reflecting and actually good reflecting. For your comment today, it’s okay to look back – what advice would you give to your younger self? I have to share this time, so you’ll see I put my thoughts in the first comment. If you are new to my blog and wonder what Day of Giving Friday is all about – you can find out more about Day of Giving on my FAQ List at #11. 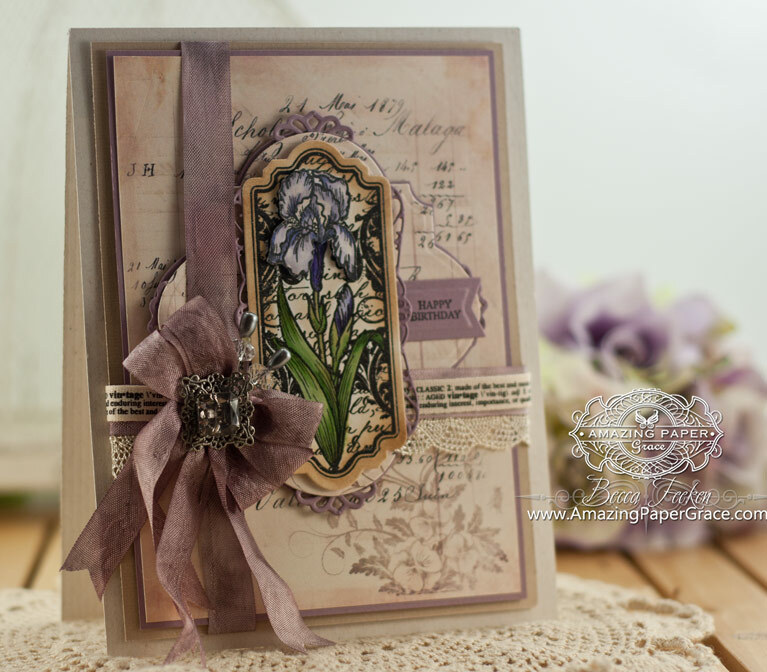 The card that I’m giving away today is one of my very favorites – a definite departure from my ‘go to’ cream or pink but rich and sultry with a vintage shade of purple. 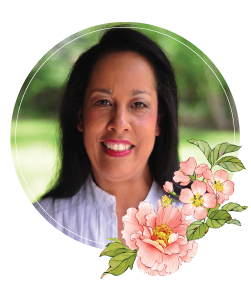 I hope you’ll weigh in with my weekly prompt – I look forward to reading and know that others benefit from your wisdom!! Please check my Giveaway Winners List in the coming days to see if your name is going on the mailing label. There are a couple of unclaimed cards that still live there. Thanks for all your kind words this week! Craft on! – cause that’s what we do! Well Becca, first and the most important is that prayers from here are going up for Ben and I throw a few in for you to keep you steady. My advice to my younger self would be to slow down and realize that God always has a plan and just because things may not have gone as I wanted he always has the correct plan for my life. You, your brother and his family are in my thoughts and prayers Becca. In my mind I am singing a hymn I used to sing in our church choir when I was a teenager and the words stay with me to this day. Pray till the light breaks through. My advice to my younger self would be to remember God always answers our prayers, it just might not be the answer we want to hear.! Oh Becca! I’m so sorry to hear about your brother. I will say an extra prayer for him and your family. Stay strong!! Gorgeous card, by the way!! First, sorry to hear about your brother. Prayers for him and you too! My advice to my younger self would be to slow down and be more deliberate. I feel like my life so far has been too rushed and maybe not spending enough time doing the important things. Will keep Ben and you also in my prayers. Sorry to hear. My advice to my younger self would be to follow the Golden Rule and live your life to the fullest as we are all on borrowed time. Trust in the Lord as he never asks us to take on more than HE knows we can handle. I have followed that for the past 40 years. Beautiful card, slightly different than your normal colors! Oh my this is just Beautiful!! So sorry to hear about your brother, praying for healing and recovery soon, good to have something else to focus on. Sending prayers for you, your brother and family. Prayers for your brother and you, Becca. This hymn immediately came to mind ~ Moment by Moment. The words to the verses are wonderful, too. Advice to my younger self would be to trust Him through life ~ moment by moment. 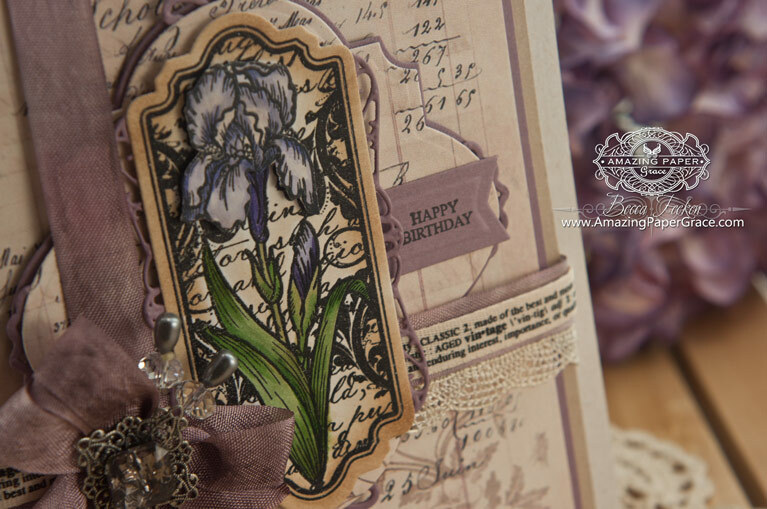 Beautiful card — bearded iris is my favorite flower. Prayers for your brother and you and your fami.ly.Hoping all will be ok. I am so sorry to hear your brother is in ICU. I will be praying for you Ben and your family. I can imagine how stressful this time is but I know God is always in control. The Advice i would give my younger self is, not to worry over things and circumstances i know i can not change. Oh Becca, I am so sorry to hear about Ben. I will keep you all in prayer, hoping that he will be out of danger soon and that you can all look to the future. What a beautiful card – so subtle! Advice to younger self – let go and let God. I would tell myself that my husband wasn’t going to be around as long as I hoped and I should spend more time with him – doing the things he liked to do. He loved to fish – I love to read. I’d go fishing with him if he’d let me read – that didn’t fly – so we spent a lot of time apart. After 45 years he left this world. It will 12 years next week. A lot of years alone. Love the card. My daughter has Iris in her kitchen – she’d enjoy seeing this card. So sorry that your brother is going through such a difficult time. Many prayers for Ben and you and all of your family that God brings you comfort and strength. HI Becca. First of all, I want you to know I prayed for your brother Ben’s recovery. My prayers go out to Ben, you and your family. I already know that your brother is surrounded by the love, peace and comfort of God. Prayer certainly helps us feel the strength of that knowing. This morning I am also holding all those affected by Hurricane Patricia in my thoughts and prayers. It just occurred to me that my advice to my younger self still applies today: “God speaks directly to you, always. It’s your intuition…Listen! Trust what you hear and act on it! And, remember to give THANKS for this precious gift. What an absolutely beautiful card – I love everything about it! I really enjoyed the cards and tutorials this week. Thank you, Becca, for being the wonderfully generous person you are! The card is so beautiful. Love the colors, layers and layers. I think I will tell my younger self to listen and learn. Saying a prayer for Ben, so sorry for your families difficulties. I have been busy & not been on the blog for a while.I have missed so much of your beautiful creations. Some of the precious me time I have is reading your blog. If I had to tell my youger self something, it would be take your time, do not stress & to meditate & relax doing more of the things I enjoy & love with the talents & blessings God has given me. Prayers to your whole family, and extra ones for Ben. Here’s to hoping the the good news gets better and better. The advice I would give my younger self is to take time and THINK before doing anything. I am praying for your brother BEN. So very sorry for his illness. A prayer for Ben from me. Thinking back I wish I could have been a more confident child with higher self esteem. Becca, my heart aches for you at this time as tonight we will be celebrating the memories of my dear father-in-law we lost just 1 year ago this month. Love the card as it reminds me of my mother’s mother who grew purple irises and now in memory of her I grow irises,too. 1. Stop living to please everyone,you cannot do this as there will always be someone who will be unhappy with you. 2. Stop regretting your past and stop remembering what God has already forgotten. Let your past make you better not bitter. 3. Focus on your strengths not your weaknesses but openly admit them when necessary. Keep it real! 4. Stop looking for love in all the wrong places and people. Go straight to the source of pure love–God Himself. 5. Build yourself an Encouragement file to keep all things that inspire you and encourage you to be your best self and to stay motivated towards your dreams. But to also be flexible in how you achieve your dreams as God always has something so much better in store for us. Oh, Becca, I’m so sorry to hear of your stresses. May ‘the God of all comfort’ continue to comfort your family in all your tribulations! your post inspired me that I bought the minc machine!! Good morning Becca, God bless you and yours, you are in my prayers. What a beautiful card!!! I would tell my younger self Life is short, live for today because tomorrow never comes and don’t worry about things that don’t really matter. Love all your beautiful cards. Prayers for your family. Oh, Becca, I’m so sorry to hear about Ben. Please keep us updated, as I will be praying fervently for him. I will be praying for his recovery and healing, for his strength, his peace, and his comfort. I’ll be keeping your family in prayer as you all suffer with him during his illness. Sorry to hear about your brother my prayers are with you and your family. I have been where you are for my younger brother has been at deaths door a few times and has made it through, so keep the faith. I truly believe in the power of prayer. Will pray for you and your brother Becca. If I could give my younger self some advice, it would be to be kinder to myself. Not to stress over things and to do more to have fun. Prayers for you and your brother, Ben. My advice would be, if possible try a technique before buying…finding your ‘style’ is important before buying. Oh, Becca…prayers and more prayers and hugs through the pixels. May your brother know healing as only God can give, and may your family know peace and grace, however that healing comes. I love this card – so pretty….and I would tell my younger self to go easy on myself. Perfection is over-rated and joy is found in the journey. Thanks for sharing your talent with the world of crafters. God has the plan for us. It is in His hands. Prayers are for Ben, you, and your family. May each of you have the strength to get through this trial with understanding and strength. What advise would I would give my younger self? It would have to be that God is in charge. Take each trial in life as a lesson learned. And learn it well, for God knows what strength one needs in each lesson so as to get through more trials along the way. Growing up, I was caught up in trying to survive and do the best I could. How much easier it would have been to turn over to God the issues I felt where just too much for me to bear while I was trying to make it though the day. God knows best. Bless you sweet Becca. Hugs. forgot to leave my advice to my younger self. It would be “Only allow people to treat me the way I treat others”. My mantra is, “IF YOU ALWAYS DO WHAT YOU’VE ALWAYS DONE,YOU’LL ALWAYS GET WHAT YOU’VE ALWAYS GOT”. Sending loving prayers to you and Ben ! I have enjoyed reading all the tips to our younger selves. Many of the thoughts similar while some very enlightening! Beautiful card, love your bow and embellishment! Advice to my younger self. . . Would be you are smart enough, you are talented enough, you CAN accomplish your dreams and don’t let others take you down!! Thank you Becca for the thought provoking questions, you always make me think out of the box! This is a beautiful card. I have this stamp and will grab it when I need to make a sympathy card. Some time ago I started writing in a journal words of encouragement, joy, positive thoughts, etc. After reading your post today, I picked up my journal looking for something to help you through life’s trials. Here are a few I selected. I hope these might touch you. An arrow can only be shot by pulling it backward. When life is dragging you back with difficulties, it means it’s going to launch you into something great. So just focus, and keep aiming. o You can let it strengthen you. Always end the day with a positive thought. No matter how hard things were today, tomorrow’s a fresh opportunity to make it better. Prayers sailing heavenward for you all, especially for Ben. may your faith keep you strong. one of the things we were shown was how to make a bearded iris ! Firstly I send my love and prayers to you and your family, I pray your brother Ben pulls through and makes a full recovery. Secondly looking back I would have told myself to be more confident and strong, everything would be okay and choose your friends wisely. Thirdly I adore your card, love the vintage look you have given this one, so beautiful. I am sending a prayer up for your brother Ben to pull through this but also for your family for what it is going through which i wouldn’t put my worst enemy through. I can’t relate to your stress of your beloved Ben in ICU because i never got that chance with my twin brother Jim but i do know how it feels, so please wrap your arms around and give yourself the hug that i am sending to you this day flower. I would tell my younger self not to be so timid and shy but take life’s opportunites with both hands and run with them as you never know where it might lead you to. I also need to tell my older self this to as there is only one time on this earth so to take the chance if only i weren’t such a coward. Bless you Becca, and Bless Ben and all of your Family. I have prayed for Ben this morning, and I will pray for him every day until he is well again. You are all in my thoughts. This card is absolutely stunning !!!!! I love everything about it, the colour is fabulous, the papers, the ribbons and pins, everything is stunning, it ‘makes my heart sing’. The person who wins this will be eternally grateful to receive it. If I had the ability to give my younger self some advice with hindsight, I would tell myself that ‘the grass is not always greener on the other side’. I feel as if I have spent most of my life searching for something (I don’t know what !!) and have made some really stupid decisions. If I could go back, I would definitely make different decisions and maybe my two Sons would still be with me today. I know we can always be wise after the event, but wouldn’t it be lovely if we could go back and change things. Let me first of all say that Ben, his family and yourself are in my thoughts and prayers. Please know that my prayers and those of my Bible Study Class are being offered up for Ben. May God keep your brother in his care and keep you and all your family safe and healthy to be there for your brother and each other. I check your site daily and love the beautiful work you do. We will be praying for your brother Becca. To my younger self I would say… You shoulda listened more, talked less, and definitely not be so serious all the time.